It is time for a dose of reality at the courthouse in Lubbock. People suing Texas Tech will not get a fair trial in the University’s home town. Red Raider Fans deserve better. It’s been more than a month since Judge Bill Sowder abruptly recused himself in our lawsuit to get records detailing the firing of Coach Mike Leach and no other judge has been assigned even to hear the case. Our lawyers tried to remind the administrative judge to take action. It’s sad for taxpayers and donors that Texas Tech tries to hide records in the Leach case ten years later. It’s sad the Lubbock County District Attorney won’t investigate who destroyed some of the records we want. It is part of an unfortunate reality. All but two of the District Court Judges in Lubbock County went to law school at Texas Tech. The entire 7th Circuit Court of Appeals went to Texas Tech University. It is time for this case to be moved out of Lubbock. 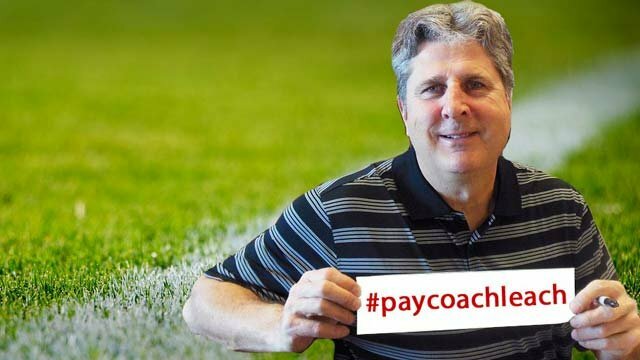 When Dolcefino Consulting filed suit against the university for hiding public records about the firing of football coach Mike Leach, District Judge Bill Sowder knew they were playing games. He even said it in open court. When Sowder ruled that some of our requests should be reviewed in court, the university spent school funds to appeal. The Appeals Court sent the case back to Judge Sowder, who promptly recused himself without telling anyone why. Judges can do that in Texas, but that’s wrong. When you spend tens of thousands of dollars in the pursuit of the truth, no judge should quit in the middle of the case without saying why. It is wrong to deny justice. Texas Tech University is not only hiding records of how they cheated the winningest coach in school history, but they are also hiding records of sexual assaults and harassment on campus, financial records showing how much they lost in the Bernie Madoff scandal and hiding the details of an investigation into possible misuse of grant money in the Texas Tech Health Science Center. The Texas Tech Board of Regents have been silent. Today they will be forced into the sunlight. The Texas Attorney General has ruled the school-related phone calls of the regents are public records. None of the regents have turned them over. The school has withheld records. Today, Dolcefino Consulting will begin filing formal criminal complaints across the state in the home towns of the Regents of Texas Tech University.